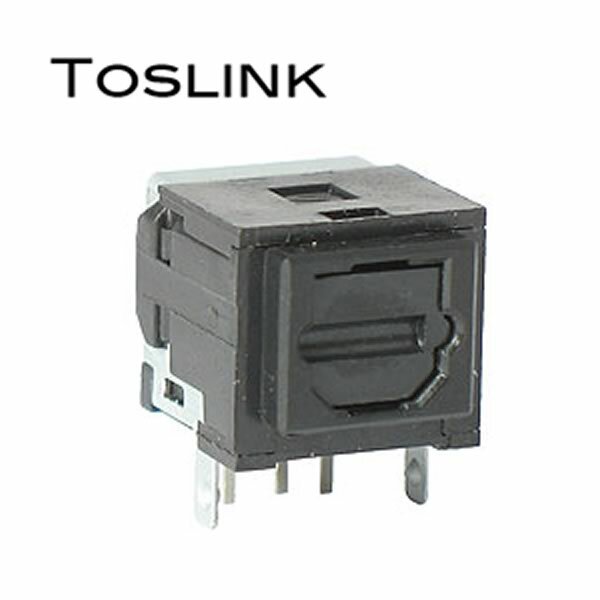 High quality Toslink transmitter module is designed for high speed signal transmission (16Mbps, NRZ signal). Its input is TTL compatible and operates from a +3 ~ +5V power source. Red LED output can be coupled to a standard toslink digital fiber optic cable. Module has a "trap door" that automatically opens when you insert your fiber optic cable (such as DT3HP). Has red LED that lights up when powered. Perfect for replacement or new construction. Module has 3 pins: 1=GND, 2=VCC, 3=VIN. Size of module: 12mm (w) x 11mm (h) x 13.5mm (deep). Brand new at a blowout price!